Credit Scores Vs. Credit Reports: What’s The Difference? Taking good care of your credit rating is essential if you are looking to buy your first house or even that dream car you have always longed for. Any financial institution, be it a bank or other credit facility will always assess your creditworthiness to decide if they are willing to lend you the money needed. But, do you know how to tell if your credit is in good shape or not? Knowing the difference between your credit score and credit report is of the utmost importance in seeking credit. The two terms are often, understandably, mistaken for each other. They both ultimately offer different insights into how you have handled credit in the past. Let’s take a closer look at each term, what they mean, and why it's important to make regular checks on both of them. Your credit score is a numerical grade that provides details of your creditworthiness to any potential lenders, from banks to vehicle finance etc. by doing a quick check, these financial institutions can get a quick indication of your financial health. Making payments on time every month is the single most important factor when it comes to calculating your credit score. Even missing one monthly payment can have a huge impact on your credit score regardless of whether you have never missed a payment before. Missing multiple payments will, of course, reduce your score significantly. This takes into account how much you still owe to all your creditors as well as the percentage of your available credit that you are using. If there is a higher usage rating it indicates to the potential lender that you may be overspending. This section includes the ages of your oldest credit accounts, your newest accounts and the average age of them all combined. Credit institutions like to see a long history of well-managed credit and this will lean in your favour. Having different types of credit accounts such as a bond, credit card, or installment loans can help boost your score. Whenever you apply for credit or a loan it applies a hard inquiry trigger on your credit which affects your score, so applying or opening several lines of credit within a short period will hurt your overall credit score. Also, remember that each time a new account is opened it reduces the average length of your credit history. 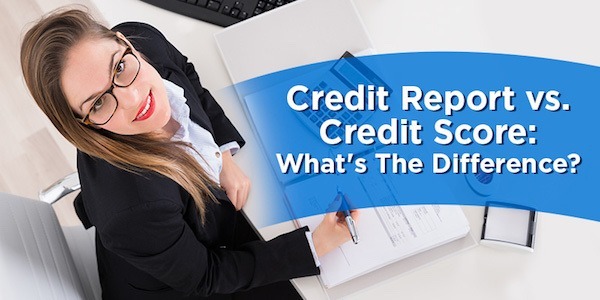 So, what is a credit report? Your credit report supplies detail on your past borrowings that have had an influence on your score. Let’s have a look at what you need to know about your credit report. Your credit report contains your credit history. Together with basic details such as your name address and ID number, your credit report also contains dates when you opened your credit accounts and loans, the balances, total loan amounts and the credit limits on your accounts and of course your payment history. Your credit report also contains details of any negative impact such as late payments or any accounts that are in collections. These negatives can remain on your credit report for several years. Wherever and whenever possible, always try to avoid any negative impact on your credit score. Credit reports provide much more detail. Your credit score is, ultimately, just a score and gives no indication as to what contributed to your score. The credit report gives a much more detailed report into your financial history. If you are m are married in community of property both parties are jointly and severally liable for any debts incurred during the marriage. Community of property is the default unless the couple signs an antenuptial contract. In this case, the marriage will be out of community of property. In other words, the husband and wife are equally responsible for each other’s debts. If the money cannot be recovered by on part, the credit provider will try and recover the outstanding debt from the spouse.